Sublative or E-matrix by elos Plus delivers treatment to the deep dermal levels to allow new collagen generation, while protecting the epidermis. Selective heating within matrix thermal bands allows surrounding tissue to remain undamaged, promoting quicker healing time and minimizes the downtime and results in smooth, toned and renewed skin. Only the E-Matrix fractional system combines Fractional Optical Energy with Bi-Polar Radio Frequency (RF) to produce deep dermal heating to effectively treat acne scar, Enlarge Pore and Wrinkle. 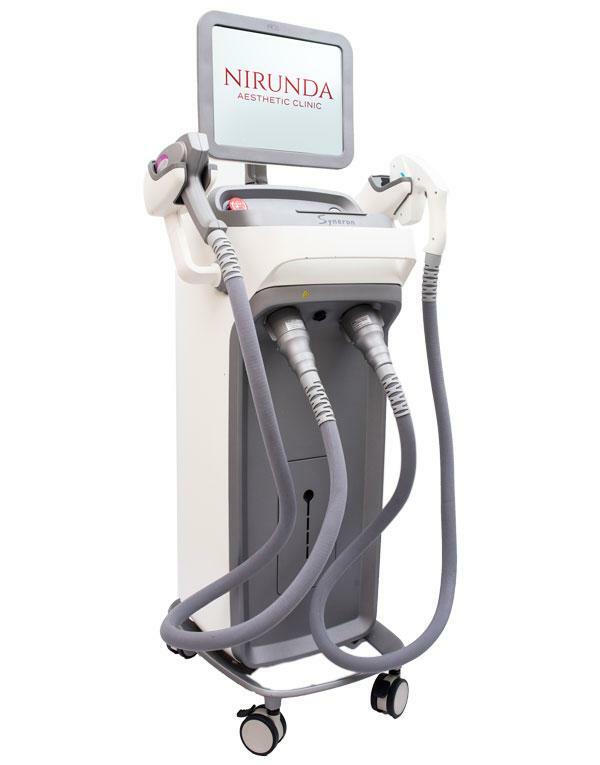 The E-Matrix uses a proprietary synergy of light and conducted Bi-Polar RF to create the deep thermal heating needed to both shrink and generate new collagen while protecting the epidermis where it combines a diode (915 nm) laser matrix, bi-polar conducted radio frequency energy and intense epidermal cooling. Use of this combination of modalities results in overlapping light beams penetrating deep into the dermis to a depth of up to 2.5 mm to pre-heat the target tissue, and the RF energy being drawn to the target. This puts the thermal zone where it is effective for wrinkle treatment, while being gentle on the epidermis. During treatment with E-Matrix fractional, the combination of laser energy and conducted RF energy induces skin injury that is maximized in micro-thermal zones (regions of greatest energy intensity) with an accelerated healing process supported by the tissue surrounding the micro-thermal zones. As a result, there is virtually no to less downtime with the treatments. 1When can patients expect to see results? Typical treatment protocol is 3 treatments, 4 weeks apart. The total number of required treatment sessions depends on the skin condition of the patient. 2How is the treatment tolerated by patients?